There's bad news for those Canadians hoping to get a glimpse of Nigerian Afrobeat star Femi Kuti - his entire North American tour has been cancelled. The announcement follows news earlier this week that the eldest son of the late Fela Kuti would have to postpone the opening jaunt of his tour and kick things off in Montreal on January 14 instead of this week in Boston as originally planned. However, word came late Wednesday (January 7) that the entire tour is now off due to illness, meaning neither the show in Montreal nor the one in Toronto on January 15 is to go ahead. The nature of Kuti's illness has yet to be confirmed, but while being interviewed for a recent Time Out New York article, the musician revealed he had been battling a mild case of malaria. 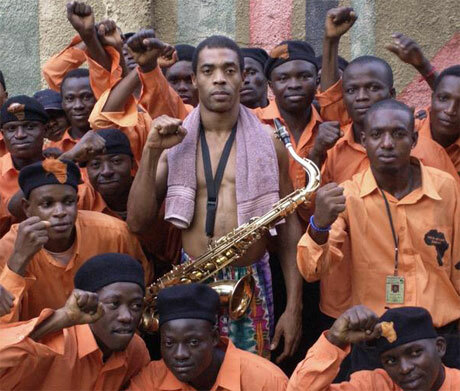 Femi Kuti "Beng Beng Beng"